We are an off licence, all wines available to take away. Bar191 can accommodate anywhere up to 60 people, an ideal number for private parties such as engagements, Christenings and corporate events for which Bar191 is now available as a venue for hire. Décor, food and wine can be structured to suit your needs. 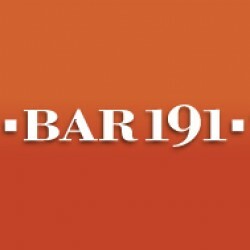 Have Bar 191 bring quality dining to your event. By popular demand, we now offer a catering service with tailored menus from a choice of canapés to a full 5 course meal for your functions and events including wedding receptions, parties, corporate entertainment & training events, and any other occasion where good dining will help to make the day. Copyright © 2016 Bar191. All Rights Reserved. Designed by Themeparrot.com.Joomla! is Free Software released under the GNU General Public License.